While offering an incredible amount of power and flexibility out of the box, VMware’s leading virtualization platform can be fine-tuned and adjusted to provide even more functionality! 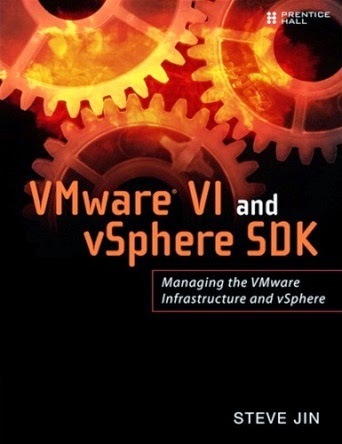 Like many software programs and platforms, VMware’s programs, such as vSphere, have a SDK (software development kit) available to developers and architects, allowing them to custom develop software solutions to implement on the VMware platform, as well as fine-tuning VMware performance. VMware also offers an API (application programming interface) kit, allowing for the development and delivery of custom applications on the VMware platform. VMware’s SDK and API allow professionals to customize their VMware experience, making it possible to do everything from automating maintenance, to optimizing server performance, and delivering better end-user applications. There are many resources available to developers, architects and other professionals who want to unleash the full power of the VMware platform by developing within the SDK and API toolsets; however, one resource stands above the rest - VMware VI and vSphere SDK. Written by Steve Jin – a software architect and developer with extensive experience working on the VMware platform – this VMware API guide and SDK manual serves as both a learning guide and reference material, covering all the major aspects of both toolsets. Jin uses his extensive experience in VMware development and management to guide readers through common uses of the SDK and API, and introduces them to using the API to develop custom applications for end-users. Not only does Jin’s guide cover all aspects of using the SDK and API, it also covers how the VI SDK and vSphere API fit into the VMware environment – showing you how to use them from the ground-up, starting with basic theory and instruction before moving on to more advanced applications. Everything from virtual machine management to using the SDK in monitoring VI performance is covered. While the guide is useful to both beginner and advanced users, there are many other resources available, including official SDK and API documentation from VMware. There are also open-source vSphere simulators that allow you to practice your VMware development at home, like the SimDK kit from Sourceforge. However, be aware that open-source vSphere simulators are not endorsed by VMware and not certified to be accurate.